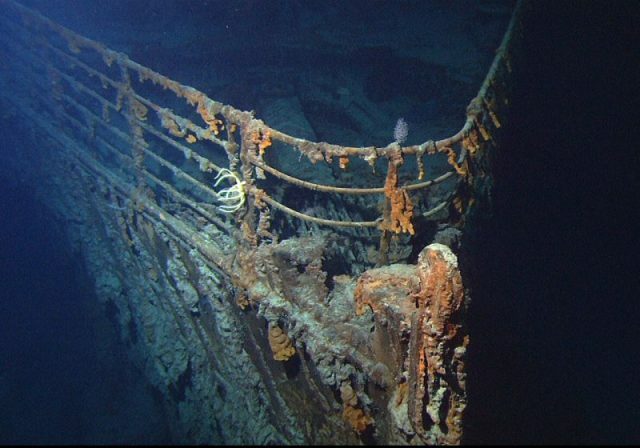 Perhaps the most moving part of the entire Titanic saga is hearing the survivor’s personal stories, how they ended up on the luxury ocean-liner and how they evaded death on the night of April 14, 1912. Over 1,500 passengers perished in the ocean — only about 700 were rescued. Some stories speak of unprecedented human achievements. Take Richard Norris Williams II who made it through after hours of clinging to a makeshift lifeboat. All that time, his legs remained immersed in the ice-cold water. When a doctor had him checked on RMS Carpathia, Williams was told he needed an amputation, however, he refused. He endured through the pain, revitalized his legs and made a miraculous recovery. Eight years later, he won the Gentlemen’ Doubles at the 1920 Wimbledon Championships along with Chuck Garland. Other stories are not so uplifting, such as that of Jennie Louise Hansen from Wisconsin. She made it through the tragedy but was deeply shocked by everything she witnessed. The trauma this woman endured damaged her nerves greatly. Ms. Hansen reportedly became incapable of ever shedding a tear again. 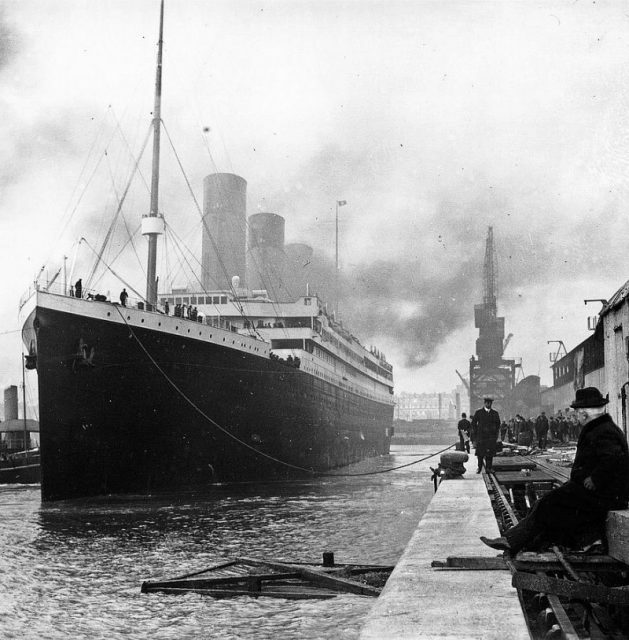 The RMS Titanic docked in Southampton shortly before the start of the journey. When Berthe Antonine Mayné tried to share her survival story with close family, supposedly nobody believed what she was saying. The Belgian woman made her salary by performing and singing in cabarets around Brussels. In the capital, she was a familiar face “in circles of pleasure and was often seen in the company of people who like to wine and dine and enjoy life,” according to Het Laatste Nieuws. Ms. Mayné was reportedly in a relationship with Fernand de Villiers, a soldier from France who joined troops to the Belgian Congo, when she met a Canadian millionaire, Quigg Edmond Baxter, at the end of 1911. Their romance apparently developed remarkably quickly. Baxter had wealthy parents and was originally a hockey player by occupation. However, after suffering a severe injury to one of his eyes, which impaired his sight, Baxter had to stop playing and became a hockey coach. He traveled to Europe with both his mother and sister and the three of them planned to return to the U.S. with the RMS Titanic. Though Baxter and Mayné had been seeing each other only for a few months, Mayné became the fourth companion on the voyage. They boarded first-class from Cherbourg, France. Mayné was probably thrilled at the thought of starting anew on the other side of the ocean, in the New World. These were the peak years of mass migration and many people were trying their luck in North America. From a Brussels cabaret star, there she was, with a first-class ticket on the most opulent-looking ship in the world. 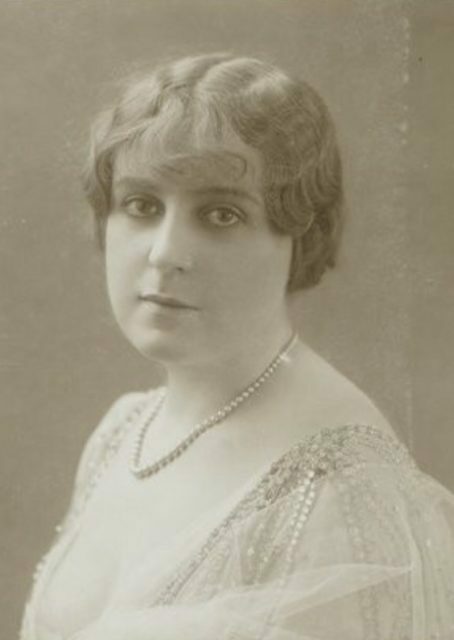 In the spirit of good manners, Mayné was registered as “Mrs de Villiers” on board the ocean-liner and was booked into a separate cabin from Baxter, according to Encyclopedia-Titanica. Unfortunately, the time to enjoy the ship and its beauty was short-lived, not only for Mayné and Baxter but for everyone on board. 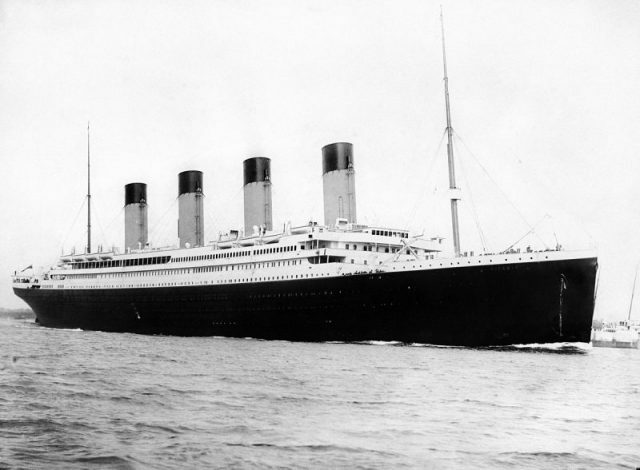 The horror began when the Titanic struck an iceberg some 300 miles southeast of Newfoundland. 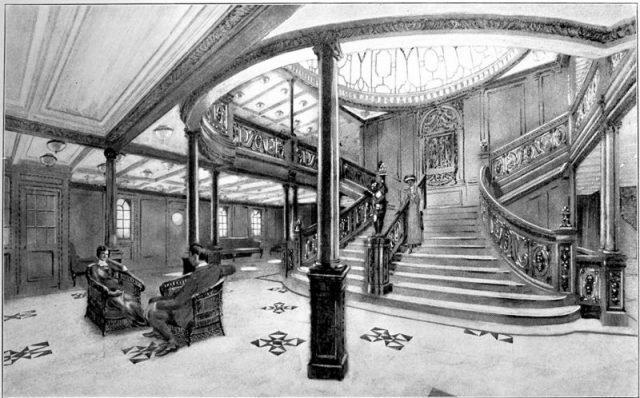 A drawing of the RMS Titanic’s famed Grand Staircase. The drawing was featured in a 1912 promotional booklet about the luxurious ocean-liner. When the ocean-liner abruptly came to a halt in the middle of nowhere, Baxter went to find out what happened and came across Captain Smith and Bruce Ismay. He approached them and the captain allegedly said, “There’s been an accident, Baxter, but it’s all right.” Except nothing was all right. Captain Smith then hurried to the bridge, and Ismay told Baxter to gather his family and head to the lifeboats. Baxter quickly rushed everyone out off their cabins. Mayné, donning a long woolen overcoat over her nightgown, was escorted to lifeboat number 6. She was hesitant to climb in without Baxter. She expressed a wish to go back to the cabin and pick up left-behind jewelry, but an alert Molly Brown, probably the best-remembered survivor on lifeboat No. 6, talked Berthe out of such crazy ideas. The ship was sinking fast. As the lifeboat was lowered to the dark ocean surface, Baxter waved goodbye to his lover, to his sister and mother. This would be the last they saw of him. He was never traced among those few recovered bodies after the Titanic perished to the depths. He was 24 at the time, the same age as Berthe. 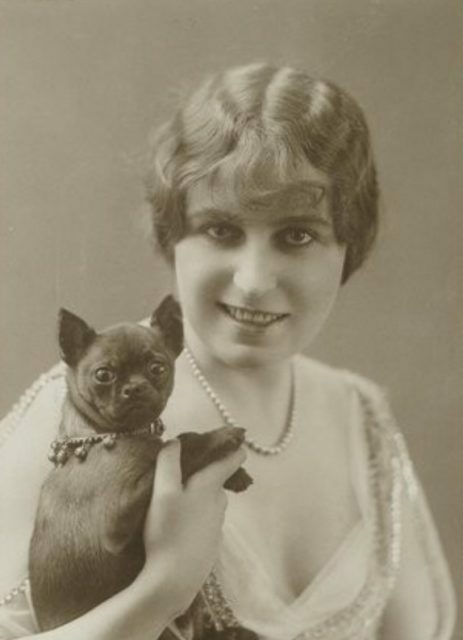 Following the tragedy, Berthe Mayné remained with the grieving Baxter family, at least for a while. She eventually relocated to Paris, where she continued her singing career. She didn’t marry anyone after that. Lifeboat filled with Titanic survivors. Upon retirement, the Belgian woman moved back to Brussels. Though she didn’t have a husband or children of her own, Mayné still had a nephew and other close family members. 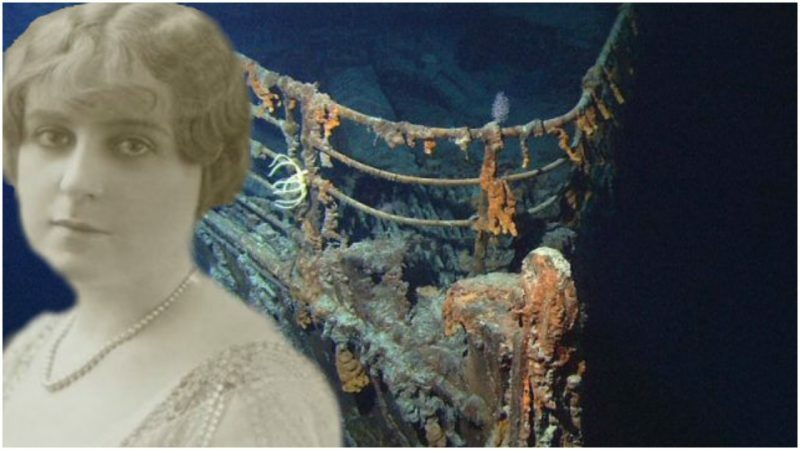 It’s pity if none of them believed she had journeyed on the Titanic in her youth. She had this heart-wrenching story to tell, but her family only realized it was true after her death in 1962, at the age of 75 years. While sorting through Mayné’s belongings, her nephew came across a shoebox full of memories — letters, photographs, and other personal belongings. The memorabilia testified to his aunt’s ill-fated journey across the ocean.